With ZipBooks it’s easy to keep track of expenses that you’ll be passing on to your customers. 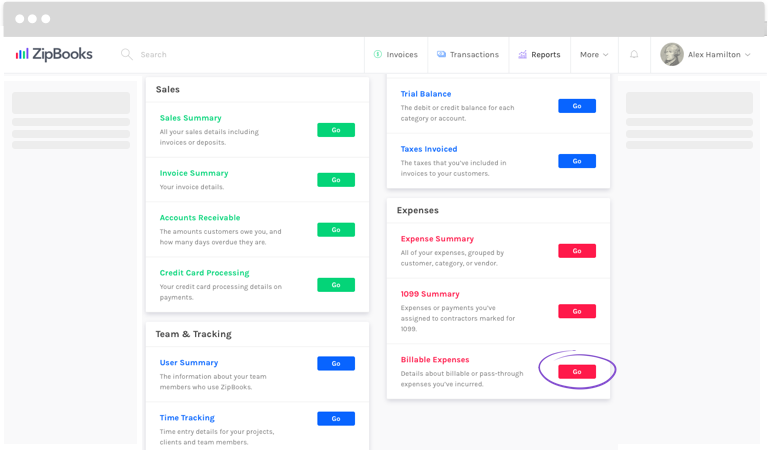 Scroll down to the Expenses section and click on Billable Expenses. Choose Start and End Dates, based on the info you need to see, and the Status of the expenses you’re looking for. Choose whether to Group By Date or Customer. 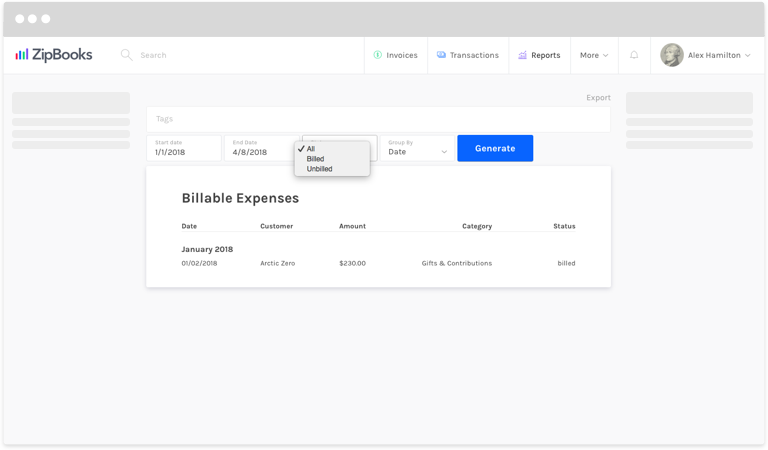 Now you’ll see a list of billable expenses based on the parameters you set.